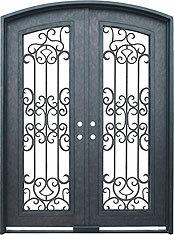 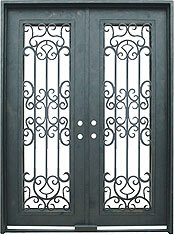 72” x 96” Radius Double Door (p/n 6053-72). 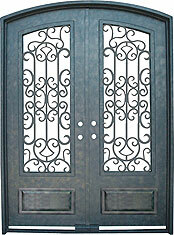 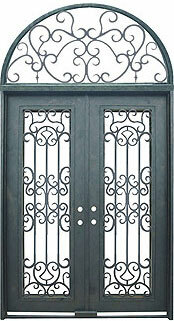 Old world styling defines the Dellatorri series, with iron grille patterns that bring grandeur to any entry. 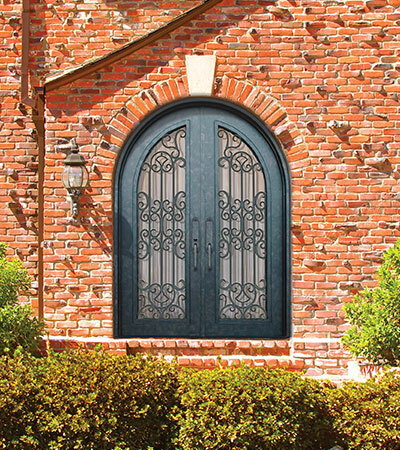 The broadest offering of configurations available in the Memphis Steel & Iron Works iron doors offering ensure a perfect fit to your entrance needs. 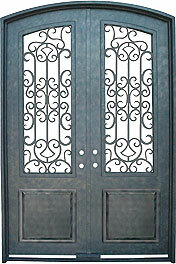 NOTE: The Dellatorri Series is available as stock units for limited time. 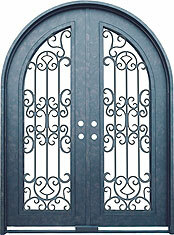 Please confirm in-stock availability when ordering.